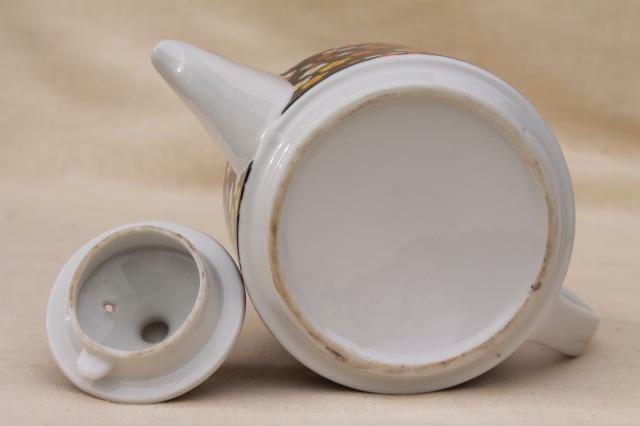 Unmarked (Japan?) 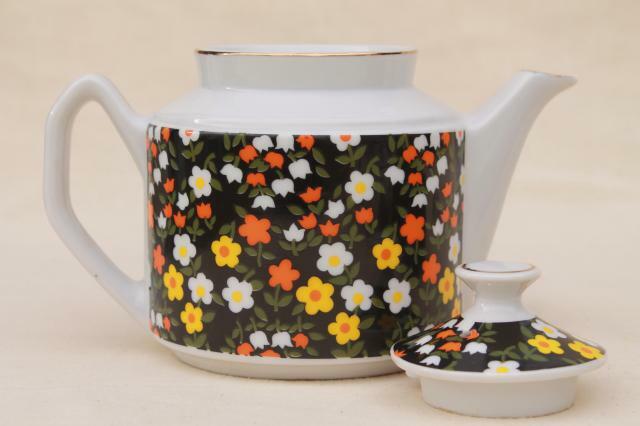 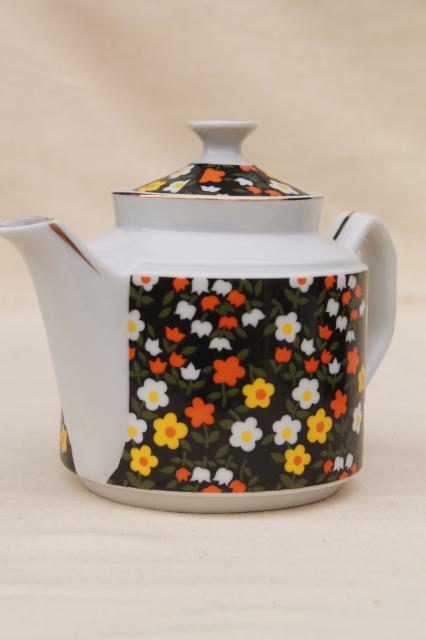 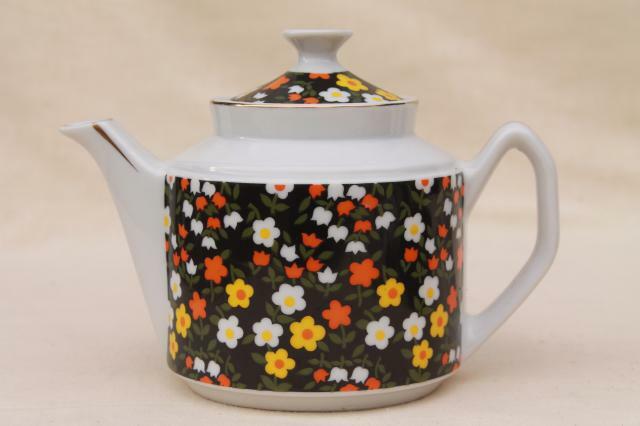 china tea pot with retro calico floral pattern - this is such a great print! 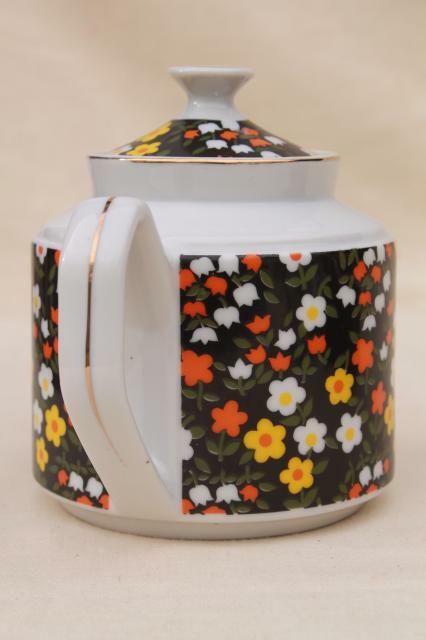 The pot is 6" tall, holds about 4 cups. 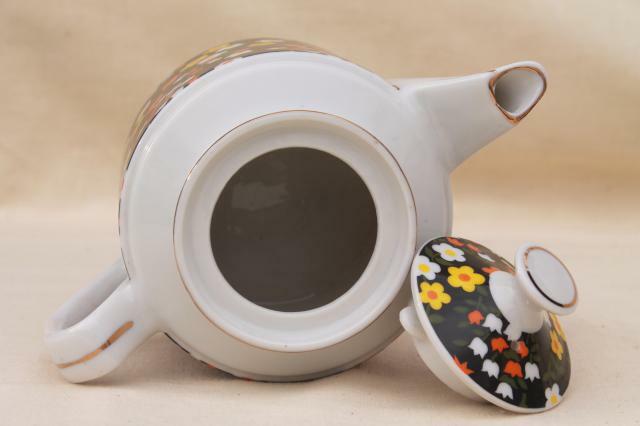 Both the teapot and lid are in very good clean condition without damage.